Best Buddies is committed to a safe and seamless travel for all Best Buddies Leadership Conference (BBLC) attendees. Guidelines for attendee travel are provided in this section. See you in Indiana! Please note: Before booking your travel, it is very important that you talk to your Best Buddies staff contact first. Some Best Buddies offices will charter buses to Indiana for BBLC. Your staff contact may also have discounted airfare options and information on what flight your peers will be on so you can travel with others. Once you have booked your travel, you must submit your itinerary to your Best Buddies staff contact. Itineraries should be submitted by June 15, 2019. Please notify your Best Buddies staff contact how you plan to travel to BBLC as soon as possible. If traveling by air, please e-mail your original flight itinerary to your Best Buddies staff contact. The deadline to book your travel is June 15, 2019. Important note: all attendees are responsible for their own travel costs; chapter dues and conference registration fees do NOT include travel costs. The arrival airport for flights to Best Buddies Leadership Conference is Indianapolis International Airport (IND). Arrival Day – Arrive at the Indianapolis International Airport (IND) on Friday, July 19, before 5:00 pm ET. Departure Day – Depart Indianapolis International Airport (IND) on Monday, July 22nd. We will provide transportation from the airport to the Bloomington campus for attendees that follow the travel time guidelines. The drive from Indianapolis International Airport to the Indiana University campus is approximately 50 miles and takes about one hour. Best Buddies will provide bus transportation between the airport and the university for conference attendees on arrival day (Friday, July 19th) and departure day (Monday, July 22nd). For conference arrivals (July 19th), the last bus to Indiana University will depart Indianapolis International Airport at 6:00 pm ET. For conference departures (July 22nd), the first bus to Indianapolis International Airport will depart Indiana University at 6:00 am ET. For airport transportation falling outside the guidelines above, attendees will need to make special arrangements and notify their Best Buddies staff contact. GO Express Travel offers regular shuttle service from the university to the airport; GO Express Travel also provides private car service, if needed. If you will be arriving to Best Buddies Leadership Conference (BBLC) by your own car, or are being dropped off, please follow the guidelines below. Please be sure to notify your Best Buddies staff contact if you will be driving to conference. Arrival Day – Arrive at Indiana University on Friday, July 19th by 6:00 pm ET. Departure Day – Depart Indiana University on Monday, July 22nd. Once you have parked your car, you will not be able to drive off campus or around campus. Those with personal vehicles should also stay until the Monday morning of conference. BBLC programming goes late on Sunday and all attendees will stay until the morning for safety reasons. All drivers from high schools and middle schools should print the IU Parking Pass to display in the dashboard of your vehicles. 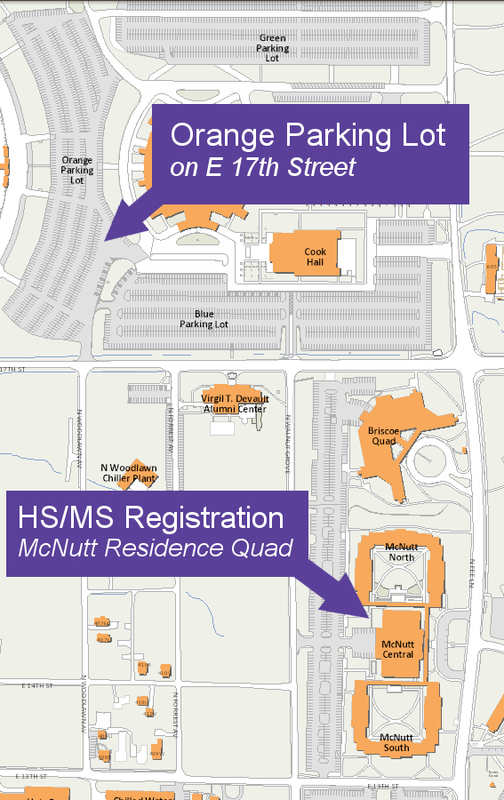 When you arrive on campus, you will leave your car in the Orange Lot (701 E 17th St, Bloomington, IN) and walk to McNutt Residence Quad (1101 N Fee Ln, Bloomington, IN) to check in. All drivers from colleges, jobs, and other adult ambassadors will park your car in the lot by the Union Street dorms (445 N Union St, Bloomington, IN). Please be sure to park in a row designated for D parking. You will then walk to registration at the Union Street Center Building (445 N Union St, Bloomington, IN). 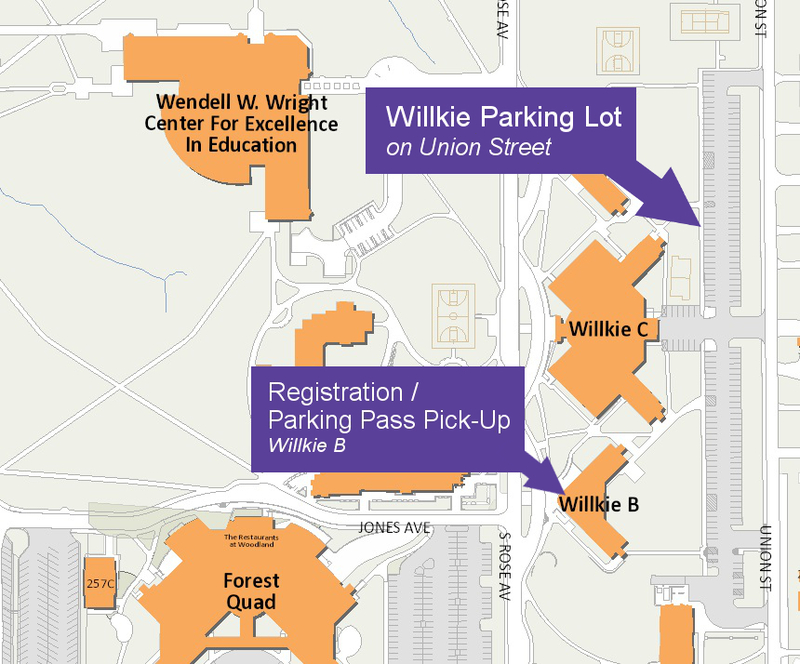 Here you will receive your parking pass and must display it in your car as soon as possible.